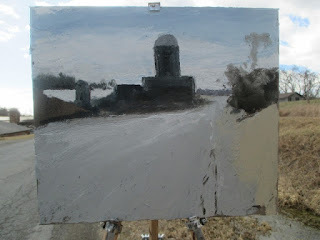 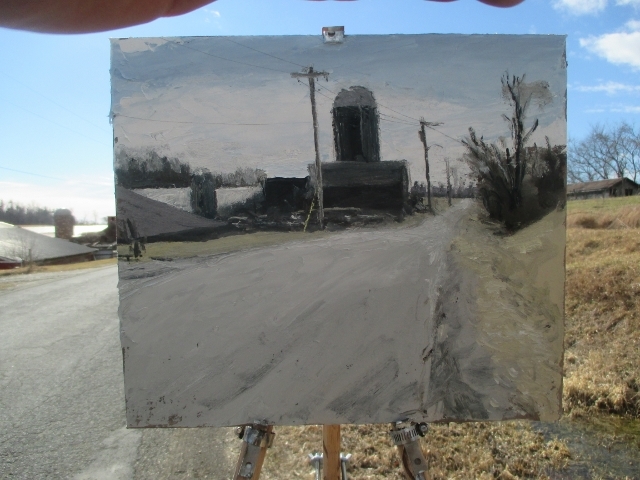 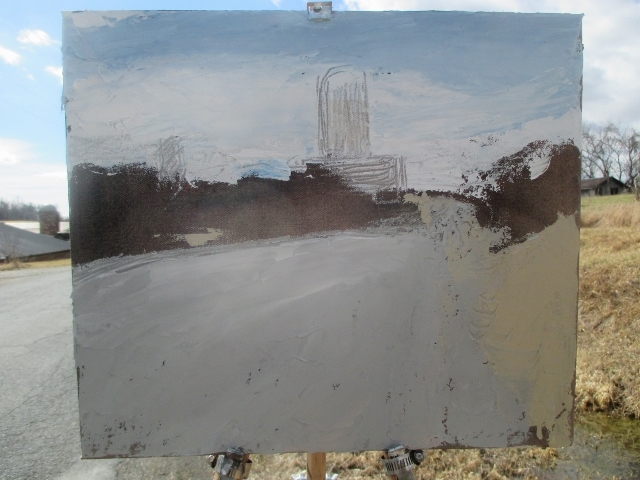 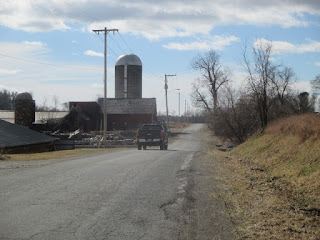 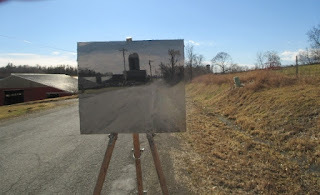 Matt Chinian Painting Blog: Oak Hill Rd. I've been thinking about confidence and how balanced life has to be to maintain that confidence. Having the ability to put the paint on deliberately with a strong composition, values and color so I'm actually satisfied with the result. It happens, and it's great, but just as soon, I miss something, it may be obvious or more subtle, but it's certainly a miss. 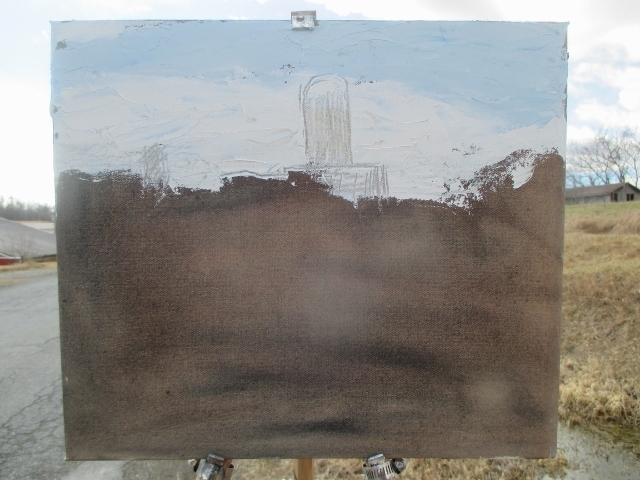 There is no substitute for growth, change and learning, and that sets you up to failure, at least for a day. I've done this scene a number of times before, there was a very large barn just to the left of the truck, it fell about a year ago and this is the first time painting it since then.